Transformational. 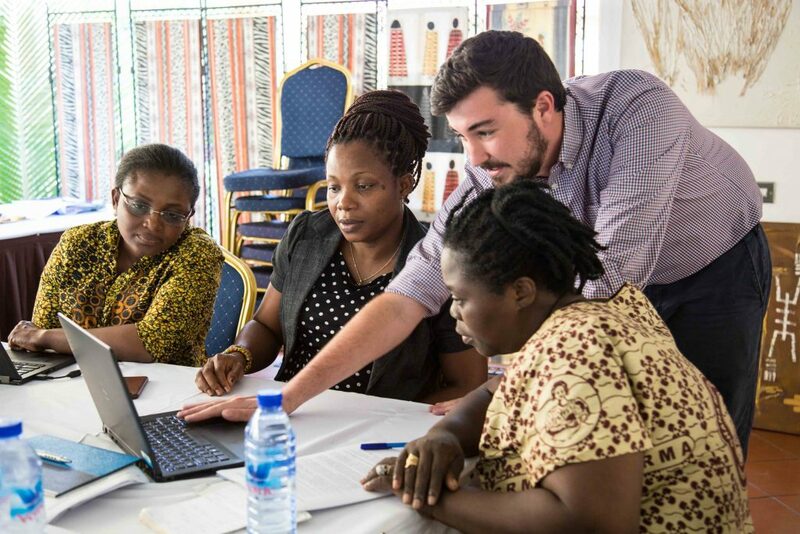 That’s the word that comes to mind when listening to the Global Health Corporate Champions describe their experiences—and lasting lessons—from a one-month pro bono immersion experience in Accra, Ghana. The Global Health Corporate Champions (GHCC) is an activity of the USAID Global Health Bureau’s Global Health Fellows Program (GHFP) II, implemented by the Public Health Institute (PHI) in partnership with PYXERA Global. It’s designed to be an accelerated, immersive leadership development experience, while providing valuable services to organizations in underserved communities whose work aligns with USAID’s global health priorities. Modeled after corporate global pro bono programs that many leading companies have launched in the last decade, the activity offers a unique opportunity for participants to develop specific leadership qualities including cultural awareness, relationship building, problem solving and decision making, change mastery, team building, and communication skills. “As the global health field evolves in an increasingly connected world, more and more global health work is being carried out by teams and alliances with multiple players—like the Global Health Corporate Champions–across disciplines, industries, and sectors. We increasingly see the need for effective communication, collaboration, and teamwork in the most challenging and challenged places in the world, which activities like this help to develop, at the same time they serve,” said GHFP-II Program Director Sharon Rudy, Ph.D. The pilots in 2016 and 2017 sent 21 corporate employees from a total of five companies: PIMCO, The Dow Chemical Company (Dow), PricewaterhouseCoopers (PwC), SAP, and WE Communications. The participants ranged from early career professionals to seasoned managers, each drawing on their corporate experiences in finance, marketing, branding, communications, data management, health and safety, supply chain, logisitics, and/or product development, among others. 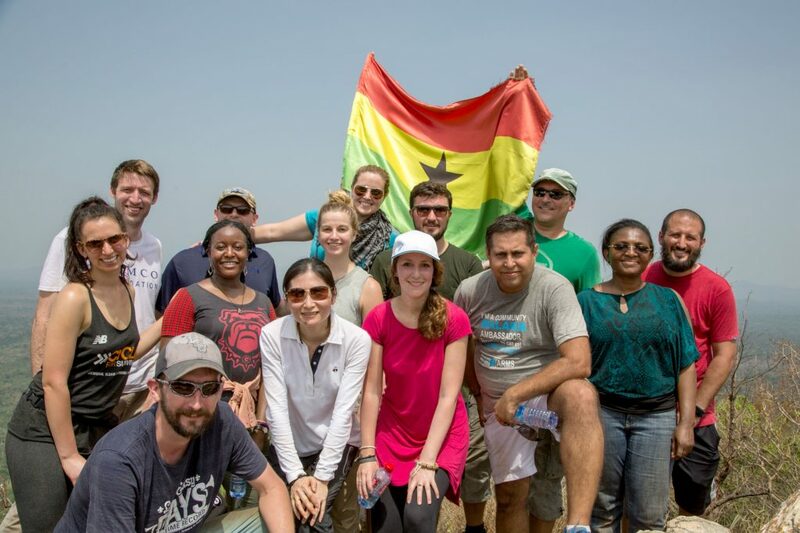 Although few of the participants had direct experience in the health industry, collectively they served seven organizations in Ghana, whose missions address challenges fundamental to good public health, including health system strengthening, water and sanitation, food and nutrition security, and gender inclusion. One hundred percent of the host client organizations served expressed satisfaction with the work of the pro bono consultants. Participants also expressed satisfaction with the experience upon their return. But would that stand after the ‘shine’ of the experience had worn off? Would the lessons last? Over a year since the first cohort left for Ghana, participants weighed in on how their experience continued to influence their day-to-day. Cultural awareness and communications—especially the skill to listen deeply for the un-said or unmet need—were the two skills that participants repeatedly highlighted as most profound. Learning about the importance of cultural differences wasn’t limited to the new country in which participants found themselves, either. Working in a team with employees from radically different companies was also a lesson in diversity—and appreciation. “Another important aspect, and one I didn’t really have an expectation around, was the corporate culture learning. I really want to stress this, because the culture between Dow, PIMCO, and PwC was so obviously different. I saw strengths in Dow that clearly came out, but I also saw strengths in those other corporate cultures, for which I now have new appreciation and respect,” said Darrell Boverhof, Director of Product Sustainability Consulting at Dow. In both 2016 and 2017, participants from all companies formed one team, which was then broken down into specific project teams. Each project aligned with a local organization and a specific scope of work. The participants are assigned according to the needs of their host client, and while the participants take part in rigorous pre-work, delivered virtually, they don’t actually meet face-to-face until they are on location. Immediate team building with no assigned leader is a fundamental condition for completing the challenging scope of work in just four weeks, as is a focused effort at problem solving, decision making, and engaging the host client for successful change management. “I understand now the importance to be really well prepared—to carefully consider the questions, ask with respect, listen with respect, check understanding—really go for the core problems. 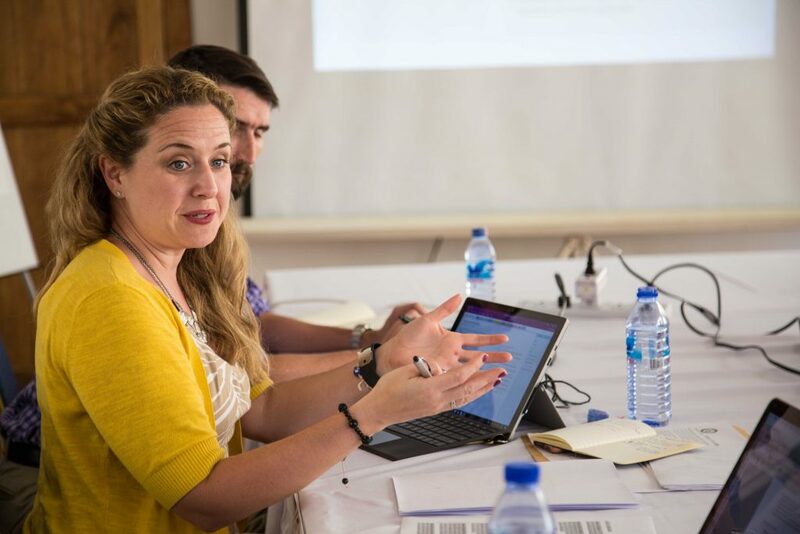 In Ghana, the client thought the first scope of work was what they wanted/needed, and then through listening we found there were so many other things needed. Eventually, what we proposed to do was a big change, but they bought in totally. A big learning for me was to prepare carefully and collect input from different levels in the same organization. In that way, you discover the true need,” said Cherry Zhu, the Asia-Pacific Commercial Director of Automotive Systems at Dow. It’s one thing to develop and execute in the field under pressure, but does the learning apply back on the job? The champions concur. Listening, first, and collaborating were by far the most profound lessons learned, and applied. “We spend a lot of time collaborating… I run projects that run across continents with a number of teams where it is not uncommon for teams to do things inside their own shell. Now, I encourage teams to communicate much more broadly… Communications doesn’t mean you have to have meetings. The way to communicate is not as important as finding an effective way to communicate,” said Rahul Vig, Director at Concur, an SAP company. In addition, participants observed the strengthening of the skills that made them champions in the first place. “I’ve had 10 years of client-facing experience, and I approach my job completely differently now. The relationship aspect of business interaction in Ghana was so eye opening. They wanted to do business with someone they knew and who knew them, and through that there is a trust and really unbreakable accountability. I’ve always had a good relationship with my clients, but this experience has enabled me to take it to a new level, a new way of listening and understanding my clients, their families, passions outside of work, their hopes and fears, as well as their business needs. And this has made me more effective at my job and my job more enjoyable,” said Marta Bezoari, Senior Vice President at PIMCO. The experience of working with participants from other companies, increased the appreciation for the diverse skills sets, including the ones the champions brought. “I think the value we brought to the team was the specific way to attack a problem as consultants. 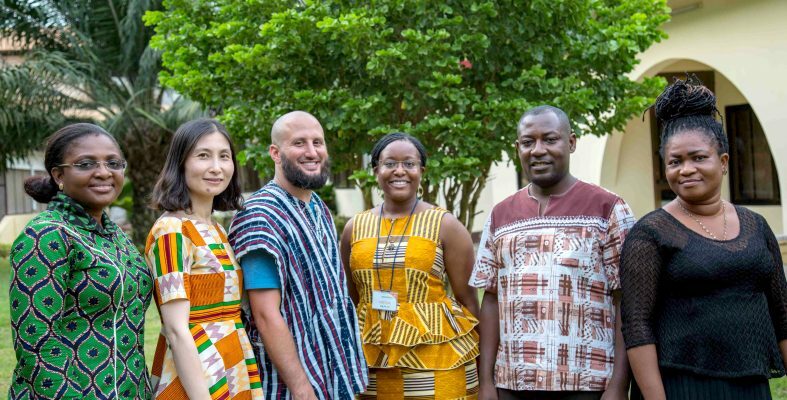 At PwC, my whole team is consultants, so it’s easy to assume that these are common skills, but in a different environment, like Ghana, I was really able to see the consulting skills shine and how important they are,” said Carl Hanna, Health Industries Advisory Manager at PwC. Participants also reflected on the appreciation for their companies and their renewed commitment to focus and deliver results with the resources at hand. “In that different setting, I reflected about my job at home, and it made me more grateful, more mindful about my work. We really had to focus on the project in Ghana to make an impact in four weeks. I am much more focused on results at work now–and the impact in our work. You can lead better when you are convinced of the value of the work you do. It has improved my leadership—my ability to pull other colleagues with me and motivate them,” explained Marie Bonesire, Senior Controller at SAP. As participants take on increasing leadership responsibilities, the benefits of the experience play out. “We’re so busy, within our own companies, that we don’t always recognize the culture that we’re in. We had to learn to flex our style to appropriately adapt to the culture. There was a point in one of the meetings with our NGO when I was really not getting through. I had to pause to think, ‘How do I make myself clear? 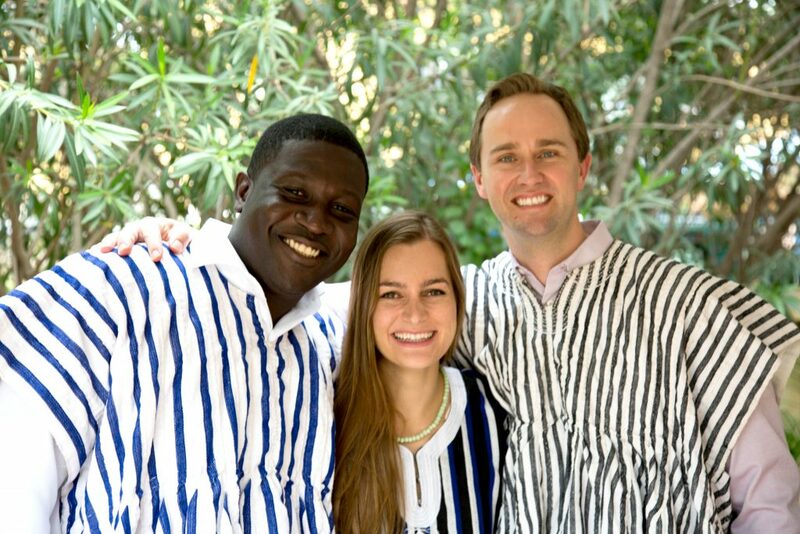 How do I change my style?’ I have a new position since I came back from Ghana—a global role. I have been able to leverage that cultural learning experience now as I lead a team with members from Asia-Pacific and India. I appreciate and make an effort to understand their perspective, rather than to ignore it and expect them to adapt to my style,” said Boverhof. Beyond the value to the individuals and their leadership, there are other benefits for the companies that join such programs as part of their strategic philanthropic activities, not the least of which is to attract and engage outside talent. “We have already seen it paying dividends in terms of employee engagement. I did a road show at the Portland office, and employees are saying to me, ‘I want to know what I can do now so that I can have this opportunity.’ It’s such a great opportunity to use something so meaningful to retain employees, and get them to infuse this perspective into their jobs and lives, and it’s so valuable in terms of attracting new candidates—hands down! I can’t tell you how many people who don’t work for WE Communications find this an incredible opportunity,” said Chrissy Vaughn, Account Director at WE Communications. In addition, companies gain authentic reputations for good citizenship. “With every Social Sabbatical, SAP as a company improves our sensitivity for social responsibility in general. Our customers appreciate that—beyond the product. This is the kind of image and brand we want to have for SAP,” said Langendoerfer. 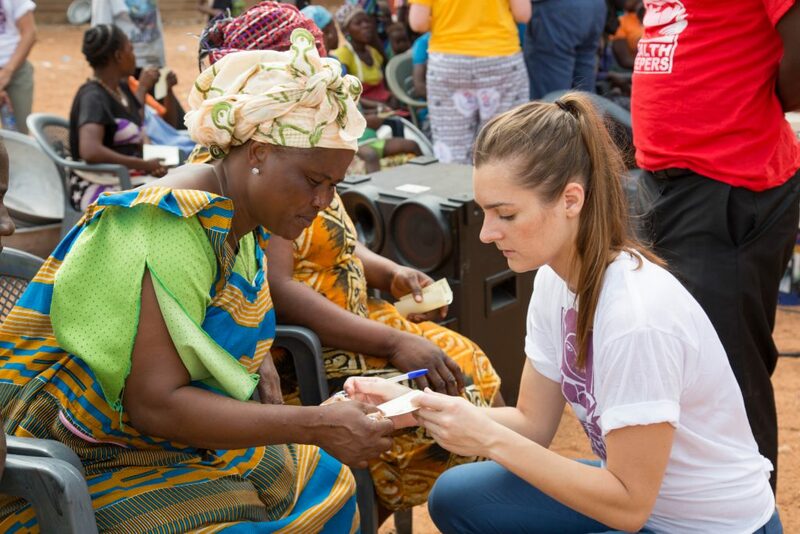 It’s fair to question the impact of such projects in underserved markets, but what we know is this: Global Pro Bono participants provide significant consultation and experience that would not otherwise be available, economically or geographically, to organizations whose missions contribute to healthier communities. “A lot of these [health] organizations do really, really good things to improve health outcomes for people who need it. All they need is a way to expand their impact. They are often too resource-constrained to be able to even plan how to expand on their own. That’s where the business pro bono comes in. It’s an opportunity to help them take a more strategic approach, establishing goals, considering new approaches, identifying metrics, so they can expand and increase their impact,” observed Tim Quagliarello, Institutional Account Consultant at PIMCO. We also know that participants report significant, life-changing experiences that inform their work and leadership in multi-national companies that wield tremendous influence through their work and their assets. “More people in my life have told me, unsolicited, that my eyes are brighter and I seem happier. I think everyone needs to push pause and have a transformational moment in their life, and this was one of those moments for me. It’s changed how I want to live my life going forward. I’m so grateful to have had this opportunity,” reflected Vaughn. Transformative change is seeded through this public-private partnership, with the pro bono consultants, their non-profit clients, and the companies that send them. “The GHCC inspired me to go back to school. I am currently attending the Yale University School of Management MBA for Executives program, and I chose that program because I really want to expand my knowledge in ESG investing. If I can help build the Environmental, Social, Governance (ESG) investing platform at PIMCO, it could ensure that potentially billions of dollars flow to companies that conduct their businesses in a sustainable way. I want to use my current investment expertise, complement it with additional education, and ultimately provide my clients with a platform to achieve great investment returns and simultaneously create a real, positive impact for the world,” said Quagliarello. The Global Health Corporate Champions is an activity of the USAID Global Health Bureau’s Global Health Fellows Program II, implemented by the Public Health Institute in partnership with PYXERA Global. The next cohort will depart for Rwanda February 24, 2018 for four consecutive weeks of pro bono service in or near the capital city of Kigali. The deadline for corporate commitment is October, 30, 2017; the cost is $15,000 per participant, inclusive of travel and accommodations. An additional cohort is planned for July/August 2018. For further information or to indicate interest, contact [email protected] or see www.pyxeraglobal.org/global-health-corporate-champions.